M&M’s has brought crisp, sweet new flavors to stores nationwide. They launched three brand-new, limited-edition varieties that appeared on shelves April 1st. 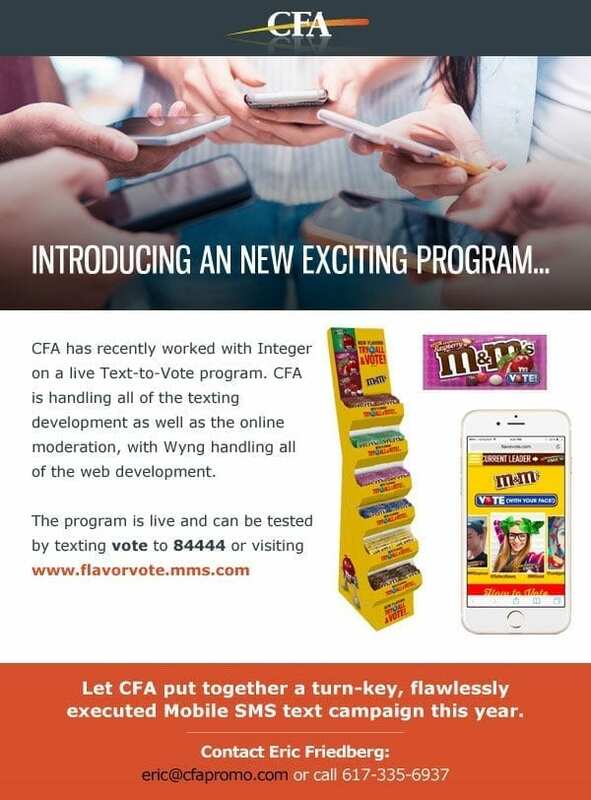 The Flavor Vote Campaign will be M&M’s second such campaign, following the first in 2016. Consumers can cast their votes once a day on the three flavors: Crunchy Espresso, Crunchy Raspberry, and Crunchy Mint from now until May 25th. The first Flavor Vote launched in 2016 in honor of M&M’S 75th anniversary. Consumers submitted more than one million votes, and Coffee Nut was selected as their favorite peanut-flavor to join the Original Peanut on the shelves. With the success and popularity of 2016’s Flavor Vote, M&M’S decided to engage their fans once again by empowering them to choose the next crunchy flavor. The three new varieties reflect the growing trend of bold flavors throughout the United States. Each variety is made with dark chocolate and wrapped in the M&M’S colorful shell. Each bite offers a crunch with the satisfying flavor of rich chocolate with a bold flavor. The Crunchy Raspberry features a regular rice crisp center, while the other two varieties have a cocoa rice crisp center. To cast your vote for your favorite M&M’S flavor, upload or take a selfie at flavorvote.mms.com. Add stickers to the image that represent your favorite of the three varieties. Fans can also share reactions on social media with the hashtag #VoteCrunchyExpresso, #VoteCrunchyRaspberry, or #VoteCrunchyMint. If you’re camera shy, just select your favorite flavor on the website and submit your vote. Or, you can text the word VOTE to 84444. You can vote once a day for your choice of the three bold flavors between now and May 25th, 2018. These three new flavors are already on the shelf for a limited time only. If you love M&M’S and want to see a unique crunchy taste join the originals, try the delicious new varieties and cast your vote. Don’t miss your opportunity to choose the next M&M’S flavor. If you are thinking about promoting sweepstakes or other contests, contact CFA for all your contest management services. We offer low prices and quality services that will have people buzzing about your business.